Speaking to The Guardian, a leading Kenyan entomologist warns that spraying pesticides will fail to deal with the Zika virus. Just recently the World Health Organization (WHO) declared the virus a public health emergency over growing concerns that the virus is linked with microcephaly. Aerial and ground applications of pesticides have long been used for mosquito control, but many believe that these methods fail to sufficiently control mosquito populations, promote resistance and kill other species that would have acted as a natural predator to mosquitoes. Mosquitoes have very short life cycle (a week or less), increasing the probability that each succeeding generation is an opportunity for random mutations to occur that predispose a group of mosquitoes to be immune to pesticides. “[W]hen you use chemicals, you are actually applying a selection pressure on mosquito populations that will drive them to become resistant,” says Dr. Martins. 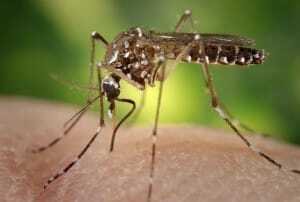 Already there is emerging resistance to insecticides among Anopheles mosquitoes. Additionally it is impossible to fumigate every corner of habitat where mosquitoes might breed. Zika virus is transmitted by the Aedes mosquito and has been linked to cases of microcephaly, in which babies are born with underdeveloped brains. The virus has been detected in several Latin American countries, including Brazil where the outbreak was first observed and linked to increased cases of microcephaly. According to Dr. Martins, the explosion of mosquitoes in urban areas, which is driving the Zika crisis, is caused by a lack of natural diversity that would otherwise keep mosquito populations under control, and the proliferation of waste and lack of disposal in some areas which provide artificial habitat for breeding mosquitoes. Whether its Zika, Chikungunya, or West Nile virus, combating mosquito-borne infections should include good surveillance and scientific understanding for controlling mosquito populations. A large part of this, as Dr. Martins noted, has to do with understanding the life cycle of mosquitoes and their biology. 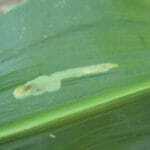 Another large part of this has to do with the inability, especially in an urban environment, to hit target insects with typical ground spraying from trucks or by aerial application. The efficacy of adulticidal pesticide applications (aerial or ground spraying) has been called into question over the years. Usually, this is the least efficient mosquito control technique that only targets adult mosquitoes. Further, the drifting spray impacts other non-target organisms like pollinators, birds, fish and amphibians. Commonly used mosquito pesticides like permethrin, resmethrin, naled and malation are all associated with some measure of human and ecological health risks, especially among people with compromised immune systems, chemically sensitized people, pregnant women, and children with respiratory problems, such as asthma. Most experts agree that an efficient mosquito management strategy emphasizes public awareness, prevention, and monitoring methods. However, if these methods are not used properly, in time, or are ineffective, communities must decide whether or not to use pesticides. They must determine if they should risk exposing vulnerable populations to potentially harmful diseases caused by mosquitoes or to chronic or deadly illnesses caused by pesticides. Beyond Pesticides says the ideal mosquito management strategy comes from an integrated approach that emphasizes education, aggressive removal of standing water sources, larval control, monitoring, and surveillance for both mosquito-borne illness and pesticide-related illness. Control of disease-carrying mosquitoes can be successful when emphasis is placed on public education and preventive strategies. Individuals can take action by eliminating standing water, introducing mosquito-eating fish, encouraging predators, such as bats, birds, dragonflies and frogs, and using least-toxic larvacides like bacillus thuringiensis israelensis (Bti). Community based programs should encourage residents to employ these effective techniques, focus on eliminating breeding sites on public lands, and promote monitoring and action levels in order to determine what, where, and when control measures might be needed. Through education of proper cultural controls, and least-toxic and cost effective biological alternatives, the use of hazardous control methods, such as toxic pesticides, can be eliminated. Clean up– Cut back any overgrown vegetation – mosquitoes use these areas to hide. Ensure waterways are clear of debris; eliminate pooled or stagnant waters from debris, containers, drains, and anywhere that pools water. Watch out for leaky faucets. Mosquitoes can breed in puddles the size of dimes, so keep a keen eye out for stagnant water! Natural Predators– Use indigenous fish populations, like bluegills or minnows, to eat mosquito larvae in shallow waters and ornamental pools. Copepod crustaceans can also be used to eat mosquito larvae in ditches, pools and other areas of stagnant water. Don’t forget about bats either! One bat can consume 1,200 mosquitoes in an hour, and many bats are in trouble from a disease wiping out their population. Help conserve these important mammals while keeping the mosquito population down by installing a bat house! Behavior Modification–As indicated above, wear long sleeves and long pants/skirts, and use least-toxic mosquito repellent when outdoors. Try to avoid being outside at dusk when mosquitoes are most active. Attentive Monitoring– Check sources of water for signs of mosquito larvae often. Least-toxic Pesticide Options– Use Bacillus thuringiensis israelensis (Bt), a biological larvicide (“mosquito dunk”) that prevents mosquitoes from developing into breeding, biting adults in standing waters that cannot be drained. Take Action– Let your local council members, mayor, or state delegates know that safer, more sustainable options exist. Download our sample letter to send to public health officials in your area. Beyond Pesticides’ Mosquito Management program page has a list of resources that can help you and your community safely manage mosquitoes, including least-toxic mosquito repellents, bed nets, and proper clothing that can be used to keep mosquitoes safely at bay.